In this session, the use of auditory evoked response potentials in clinical audiology was illustrated in examples of knowledge translations bridging research and practice. 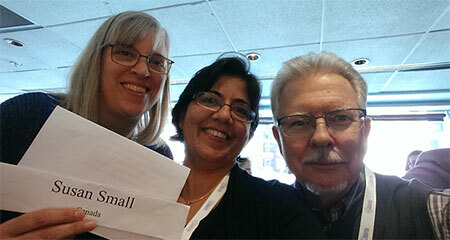 S. Small, M. Sharma, and J. D. Durrant at the WCA2016 in Vancouver. A report from IERASG 2015 Meeting was published in Journal of Hearing Science.